The company I work for welds with GMAW-S and all of the Weld Procedure Specifications (WPS) that we have are from pre-qualified AWS-D1.1 welds. When I look in D1.1 I find that GMAW-S is not a pre-qualified transfer mode. Are all of our WPS's therefore null? If I understand D1.1 correctly we would need to have a PQR for all of our WPS's because they are GMAW-S, is this correct? common, GMAW transfer mode why in the world is it not pre-qualified? When you mention GMAW-S the transfer mode referred to is Short Circuit Transfer (See AWS-D1.1 Annex K, “GMAW-S”). You are right to note that GMAW-S’s use is wide spread. You are also correct that GMAW-S is not a pre-qualified process, per AWS-D1.1. AWS-D1.1 is the Structural Welding Code for Steel. Its intent is to be used with materials 1/8 inch thick and greater. 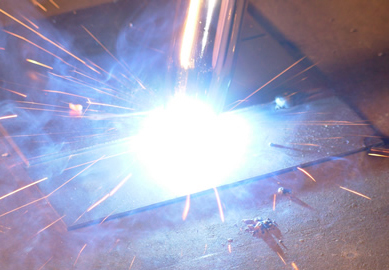 The concern by those who determine the requirements for pre-qualified procedures is, welding using the Short Circuit Transfer mode has the potential to generate a lack of fusion. It has been my experience, after running hundreds of PQR’s, that this lack of fusion becomes consistent on material thicknesses over 3/16 of an inch in certain positions and progressions. That’s not to say GMAW-S can not be used with a pre-qualified procedure. 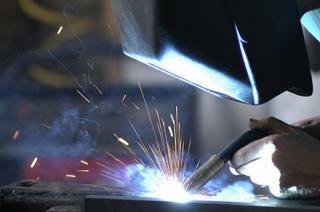 AWS-D1.3 is the Structural Welding Code for Sheet Steel. Its intent is to be used with material 3/16 inch thick and less. Clause 3 of AWS-D1.3 lays out the requirements for developing pre-qualified weld procedures using Short Circuit Transfer. AWS D1.1 in Clause 1.2, “Limitations”, encourages the use of D1.3 on materials 3/16 inch thick and less. So using pre-qualified procedures for Short Circuit Transfer is do-able, it simply has to be done to a different Structural Welding Code.